The System Preferences dialog on OS X gives you plenty of options for customization, but the trouble is that with so many settings available, it takes too much time to find the exact one you need. Thankfully, with the next three tips, you can speed up that process. 1. Use keyword searches. Let’s say you want to switch to a dark menu bar, but you don’t know which section holds that setting. Here’s what you do. Start typing dark menu bar in the discreet search box at the top right. You’ll see a dynamic dropdown list of relevant matches, including Dark menu bar and dock. Click on the result to navigate to that setting. 2. Declutter the System Preferences dialog. Are there certain sections you never venture into? If yes, navigate to View > Customize, uncheck the boxes next to them, and click on Done. This hides those unused sections and gives you a cleaner, easier-to-search interface. 3. Access System Preferences from the dock. Right-click the utility’s dock icon and in the context menu you’ll find all the sections arranged in a tidy, alphabetical list. If you’re looking for a particular section in System Preferences, selecting it from this list is the quickest way to bring it up. Also, did you know that you can directly open the preferences for a special-key function just by adding the Option key 20 Things You Didn’t Know You Could Do with the Mac Option Key 20 Things You Didn’t Know You Could Do with the Mac Option Key The Command steals the limelight on your Mac's keyboard, but it’s the Option key that is the real hero. Read More to that function’s keyboard shortcut? Say you want to open brightness settings. All you have to do is hold down the Option key, then press the shortcut you use to alter brightness (Fn+F1 or Fn+F2). 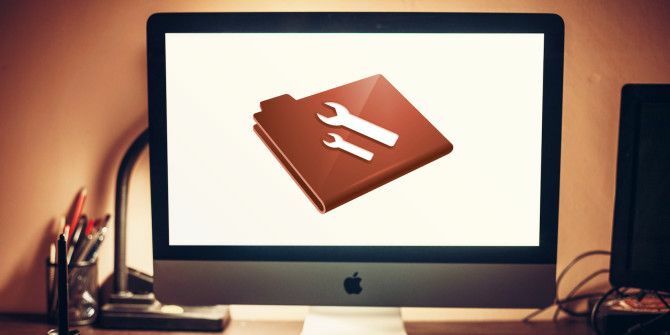 Do you have your own shortcuts and tricks to find the right settings quickly on your Mac? Tell us about them in the comments!